The amazing Murray Riverwill blow you away with it's astounding range of experiences, things to do and scenery. Most towns along the Murray are close to each other yet have enough space to give you the freedom. There's so many places you can stop and enjoy the river and it's surrounds. 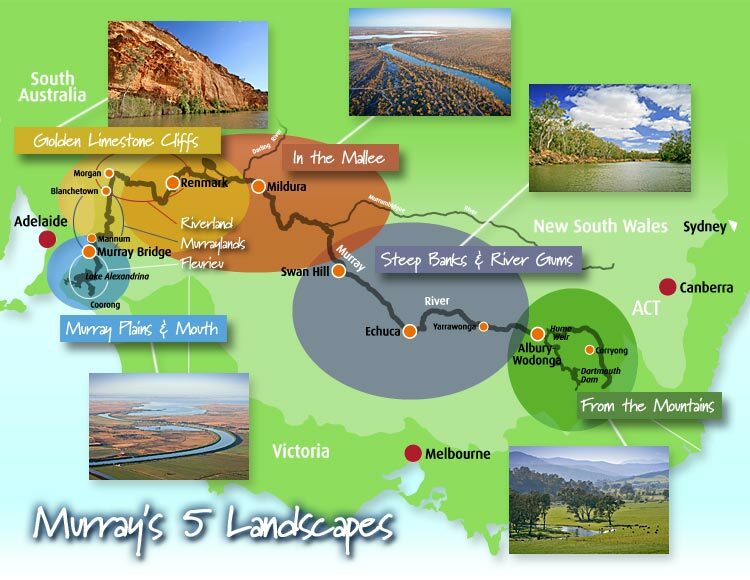 Click here to read more about the Murray's diverse environment from the beauty of the Australian Alps near Corryong to the rich heritage of Echuca Moama. The open space and arid lands of the mallee near Mildura and Renmark all the way to the Murray mouth near the Coorong and Goolwa you'll love the Murray! Visit the local tourism bodies websites for more info.